Review our list of common items found inside and outside your home and keep them out of your pet’s reach. Human medications. Many human medications, including painkillers, can be highly toxic to pets. String, yarn and other similar objects. 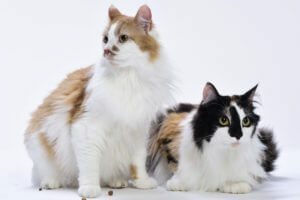 String products could cause intestinal blockage in your pet. Small toys with moving parts. Many toys designed for children are choking hazards for pets. Holiday decorations. Pets like to play with holiday decorations, but many of them are choking hazards to pets. Fumes from cleaning products. If you use aerosol sprays or a self-cleaning oven product, keep pets away from the fumes as they are toxic. Apple seeds – only the seeds and stem. The rest of the apple is fine. If your dog consumes any of the above foods or you suspect other poisoning, immediately seek veterinary care at your closest animal hospital. Cocoa mulch. Pets are attracted to the chocolatey aroma, but the ingredients in cocoa mulch can be deadly if ingested. De-icing salts used for snow and ice. These salts can irritate the paws and poison your pet if consumed. Fertilizers. Most fertilizers, both commercial and organic, and plant food products are toxic to pets. Antifreeze or other ethylene glycol products. The sweet taste appeals to pets, but antifreeze can be deadly if even a small amount is ingested. Garbage cans. Your pet may try to lick the inside of garbage cans, which could result in him ingesting a harmful substance. Pest control poisons and or insect repellents. Insect repellents and rodent poisons are highly dangerous for pets. 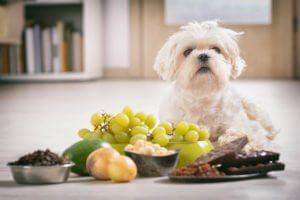 For other resources on pet toxins, see our articles on Garden Dangers for Dogs, Chocolate Ingestion, The Dangers of Mushrooms and Holiday Dangers for Dogs.